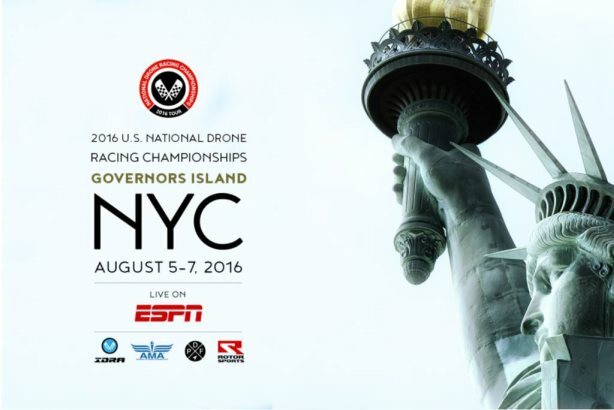 Tell us about drone racing and the International Drone Racing Association? Drone racing is the first multi-reality sport and basically takes the best of the virtual and physical worlds and combines it into one unique experience. It allows pilots to fly first-person view these aircraft they build and tune themselves. The first big event to kick it off was the 2015 U.S. National Drone Racing Championships at the California State Fair and involved about 200 pilots and maybe 10 spectators. Fast-forward 10 months and now we’ve had a multi-million dollar race in Dubai and IDRA has landed an international distribution deal with ESPN. IDRA is an event production company that hosts races around the world, currently in Asia, Europe, and the U.S. Our goal is to consolidate the drone-racing world so we can set up a standard of rules everyone can adhere to. We’re a multilevel organization and we’re focusing more on our marquee events such as the Drone Nationals. We’re also doing our 2016 Drone World Championship, which takes place in Hawaii later this year. And in 2017 we’re focusing on bringing the World Cup to life. We’re starting continental-based series around the world. North America has already kicked off and Asia is coming together, along with Europe. This new international community is a full ecosystem in the sense that you have manufacturers, pilots, vendors, and fans, and 10 months ago this was such a small, tight-knit community. Now you have hundreds of thousands, if not millions, of fans around the world pushing drone racing forward. 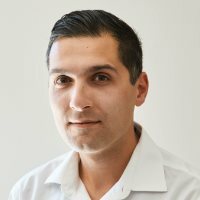 How are you working with brands? We’re talking to several companies to sponsor the 2016 drone nationals. Some are Fortune 500 - some are endemic to the industry. We have interest across the board, from the financial, entertainment, drone, or technology sectors. Most of the companies we’re talking to are household names. How has the ESPN deal affected the growth of your fan base? Since the announcement our inbox has been flooded with interest from major companies to news outlets and small drone racing startups we’ve never heard of before. It definitely moves the needle in the right direction to get brands involved, especially with the number of viewers the ESPN networks bring to the table. They’re starting to see the value in drone racing. It was a several-month-long negotiation between Scot Refsland and ESPN. IDRA and RotorSports were two separate companies that recently merged. Scot used to be CEO of RotorSports and he was the one who negotiated the ESPN deal. What opportunities has this merger opened up? Companies in the VR space are very interested in opening up a ‘goggle bar’ for spectators to get the full virtual reality experience. You’ve seen similar concepts such as events like Samsung did at SXSW. We’re trying to tie that into drone racing because it is a multi-reality sport. We’re looking for partners in the technology space that want to bring this new 21st century entertainment to the mass audience. How do you promote drone racing and your organization? We’re very active on social media. Our AOR BWR also does a great job getting announcements out to the mainstream media. It’s mainly through us talking to other companies, promoting it, and telling them what we do. Our relationship with BWR is new; we brought them on for the ESPN launch and we were really happy with the turnout. We’re going to continue our relationship with them and we’re negotiating a new contract as we speak. How will you expand communications in your company? We’re focused on fundraising and production for drone nationals, so we’d probably look more toward third-party support in that sense. What’s the future of drone racing? I see it expanding into a fully sustainable ecosystem where fans, brands, and race organizations intertwine to push that space into a bigger and broader sport. NASCAR has its roots, and look what it is today. With the traction we’re getting, drone racing can be as big as Formula One, NASCAR, or eSports. And because it combines those two spheres, it could potentially be bigger. There are several other leagues out there and we’ve worked with some in the past, but we’re the only one to publicly announce a broadcasting deal. We’re trying to do live production and live broadcasting. Between our media production partners in Los Angeles and 30-time Emmy Award-winning producer Dave Gavant, we’re looking to bring a new angle to drone racing.